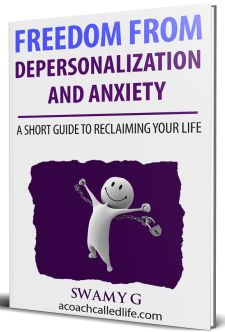 Whether you suffer from depersonalization or generalized anxiety disorder, there is a good chance that you experience panic symptoms and panic attacks every so often. This is also sometimes known as an anxiety attack. Panic attacks are very unpleasant to have, and they may leave you shaking, trembling and confused. Then, you start to worry about the next time you are going to have one. In this article, I want to take some time to write down the steps you can follow to successfully move through a panic attack. 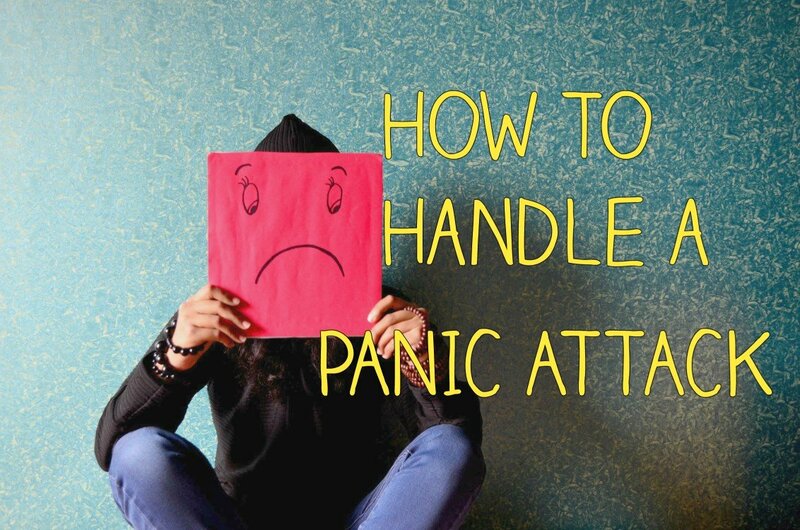 Whether you think you are experiencing one right now as you are reading this or you are someone who faces them often, you can use this article to work your way through a panic episode without it leading to a full-blown panic attack. At the end, I have embedded a video version of this article; if you are having trouble reading this text, you can just skip to the end and play the video instead. It contains the same content as this article. At this point, I’d like to reiterate that I’m not a medical doctor nor a licensed psychologist. Whatever I write here comes from personal experiences that have worked for me and my clients. Please use your discretion while following these steps. To begin with, tell yourself, “I’ve got this.” You have been here many times before and have always come through to the other side. You have survived every bad day so far. Today is no different. None of your worst fears of going insane or having a heart attack are going to come true. Remember, these feelings will pass. When we are panicky, there are many thoughts that rush through our heads. Most often, these thoughts are fear-inducing. It can be something like, “I’m having a heart attack,” or “I’m going insane,” or “I’m going to embarrass myself.” These thoughts are a product of a fearful mind. By believing in these thoughts, we energize them. The best way to weaken these thoughts is to move your awareness from your mind to your body. I’ve written at length about this topic before. Ignore all these scary thoughts and bring the focus to your body. Whether you are standing up, sitting, or lying down, begin to notice the weight your body exerts on the ground. Feel the force that you exert to push the ground beneath you. Notice how that feels. This will serve as a grounding exercise, which helps to take focus from the mind. What does it feel like in your body to have all this panic flowing through you? Just notice the sensations. Don’t pay attention to the scary thoughts. They can be ignored. The body sensations are what’s real. The thoughts, on the other hand, are not based on any truth. See if you can identify the different sensations in your body. This could be anything from feeling a pressure on your chest, to feeling tingling sensations, or feeling that your fingertips have become cold. Some people may experience weak legs and knees. Others may experience energy moving through them. Symptoms may be different for each person. Your job right now is to just feel and experience these sensations in your body. Panic experienced in the body is nothing but unpleasant sensations. It’s only the mind that interprets these sensations and raises alarm bells. The mind tells us that we are in danger. It starts to fire off all these scary thoughts, telling us to do something about these sensations. But there’s no real danger. By keeping the focus on the mind and believing in such fearful thoughts, we further strengthen the notion that something is wrong. By believing such thoughts, we repeatedly tell ourselves that we are indeed in danger, which further creates more panic. Due to life circumstances, stress can accumulate in your body over time. This causes the levels of certain stress hormones (adrenaline and cortisol) to rise in your bloodstream. These hormones are responsible for feelings of panic, anxiety, and depersonalization. The panic that you are experiencing right now is just your body discharging that built up energy. This notion helped me visualize my panic as stress trying to leave the body. It also made me see panic as nothing inherently harmful. Yes, it feels scary and unpleasant, but after seeing panic as just a form of discharge, the fear associated with panic started to come down for me. In order to take the power from panic, we must not try to fight it or run away from it. That actually gives it more power. An anxiety attack starts with a small fear and then snowballs into a full-blown panic attack because we fight it. To prevent this, we must learn to accept and allow the panic sensations to come and go. You may be thinking that this is the last thing you want to do. You may think that by doing so, you are going to make the panic bigger and stronger. Nothing is further from the truth. Start facing your panic. You are already doing this. By willingly experiencing panic as body sensations, you are letting the panic work its way out of you. You may even notice a slight decrease in panic as you start to accept it. When experiencing panic as raw body sensations, we notice that it is not as scary as our minds make it up to be. Without the constant commentary of the mind that something dreadful or awful is about to happen, panic is just a series of raw sensations. It becomes a little easier to accept. Turning around and letting the panic flow through you, instead of trying to run away from it, is the key to taking the power away from panic. As you start to become aware of what panic feels like in your body, notice all the sensations it creates. Know that the body is fully capable of handling these sensations. Our bodies are a product of millions of years of evolution, and so it has been tested by many stressors over that time period. Your body is built to handle this panic. Remember, panic always recedes. The body knows how to engage with it. It will seem to peak, but the level of panic always goes down. However, if you keep fighting these feelings or keep believing in all the scary thoughts going through your head, then that actually adds more stress to your body. This is the mistake that most of us make when dealing with a panic attack. But it can be rectified. Keep following and repeating the steps that I’ve mentioned here in this article. Keep reassuring yourself that you’ve got this. Move focus from the mind to the body. Experience panic as body sensations and try to accept and allow these weird, unpleasant sensations in, instead of fighting them. Then, you’ll observe that your panic will automatically start to decrease in intensity. If you have any comments, please leave them below. Or if you have any questions, feel free to get in touch with me.